Data Steward Studio (DSS) is a DataPlane Service that empowers users to understand, secure, and govern data across enterprise data lakes. 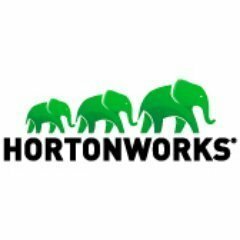 Work for Hortonworks Data Steward Studio? Learning about Hortonworks Data Steward Studio? Useful at the enterprise level. Compatible with all the hortonworks Hadoop stack. A good framework to globally store secure data. Understands how the data is created and modified. One can drill down into a view that shows statistical summaries of data in the columns contained within the Hive tables as well as summarized views of the usage of a Hive table from access and audit logs. it is still not ready for production deployment. What Machine Learning Data Catalog solution do you use? IBM Watson Knowledge Catalog powers intelligent, self-service discovery of data, models and more, activating them for artificial intelligence, machine learning and deep learning. Access, curate, categorize and share data, knowledge assets and their relationships, wherever they reside. Alation is a data catalog designed to empower analysts to search, query & collaborate on data to gain faster, more accurate insights. Unifi is a single data interface for the enterprise. Oracle Enterprise Metadata Management (OEMM) is a comprehensive metadata management platform. OEMM can harvest and catalog metadata from virtually any metadata provider, including relational, Hadoop, ETL, BI, data modeling, and many more. Collibra is a cross-organizational platform designed to break down the traditional data silos, freeing the data so all users have access. Waterline Data Fingerprinting works by analyzing the data values in each data set and profiling the data. Waterline Data then uses that information to create a fingerprint for each column of data—using machine learning to intelligently and automatically tag and match data fingerprints to glossary terms and populate the data catalog. Users can then refine matched terms, and remaining unmatched terms, through crowdsourcing. machine-learning-based data catalog lets you classify and organize data assets across cloud, on-premises, and big data. It provides maximum value and reuse of data across your enterprise. Immuta is the fastest way for algorithm-driven enterprises to accelerate the development and control of machine learning and advanced analytics. The company's hyperscale data management platform provides data scientists with rapid, personalized data access to dramatically improve the creation, deployment and auditability of machine learning and AI. Infogix Data3Sixty enables users to source data from multiple data platforms and applications, including other Infogix products, as well as external databases, enabling collaboration, knowledge-sharing, and user. A machine-learning-based data catalog that allows to classify and organize data assets across cloud, on-premises, and big data. It provides maximum value and reuse of data across enterprise. * We monitor all Hortonworks Data Steward Studio reviews to prevent fraudulent reviews and keep review quality high. We do not post reviews by company employees or direct competitors. Validated reviews require the user to submit a screenshot of the product containing their user ID, in order to verify a user is an actual user of the product. Hi there! Are you looking to implement a solution like Hortonworks Data Steward Studio?